Every party hits that critical moment when the host realizes that energy is flagging…that no one is talking to anyone new. Enter Dr. Clue’s “Find-Someone-Who” Bingo — to the rescue! 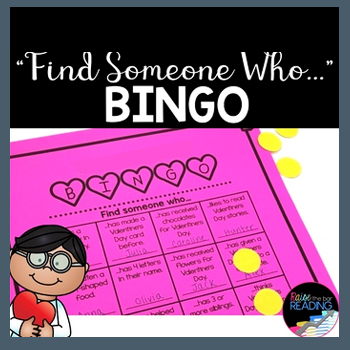 In this quick and easy DIY game (no facilitator required), each person receives one of 5 bingo cards. In each square is a description of someone in the room you need to seek out: for example, you may be asked, “Find someone who…speaks 3 languages”, or “Find someone who…is vegetarian”. As you locate someone who meets the requirement, you take their signature in the box and move on to the next quest. The first person to get a Bingo, wins. Or, you can play on until one’s entire card is filled. This is a great energizer that literally never fails. Not only will people enjoy getting up and interacting with others, but they’ll also start asking questions like, “So where did you learn these languages?” and “What’s your favorite vegetarian recipe?” Friendships have been born with far less stimuli!